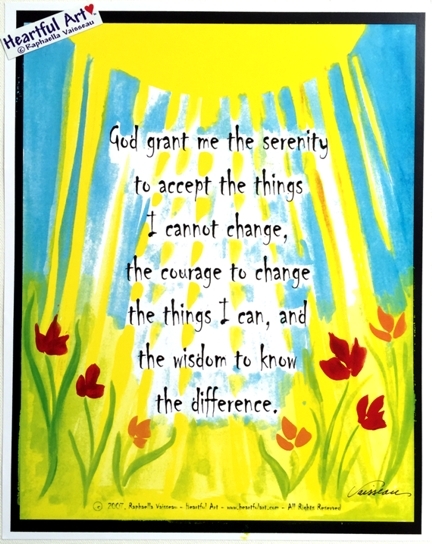 11x14 Serenity Prayer Poster: "God grant me the serenity to accept the things I cannot change, the courage to change the things I can, and the wisdom to know the difference" - A universal prayer that expresses the wisdom of the ages. The Serenity Prayer is a tool for recovery as well as a prayer for all people every day. 11x14 poster frames are inexpensive and readily available which makes it easy to frame as wall art. Love yourself. Enjoy each day. Be in peace. Make one choice at a time.